Betty Julian received her undergraduate and graduate degrees in music education from UTC. She has sung on two tours with Dr. Glenn Draper to the UK as well as two White House Christmas concerts. Last summer Mrs. Julian traveled to Belarus for her fourth group tour, singing and playing percussive instruments. 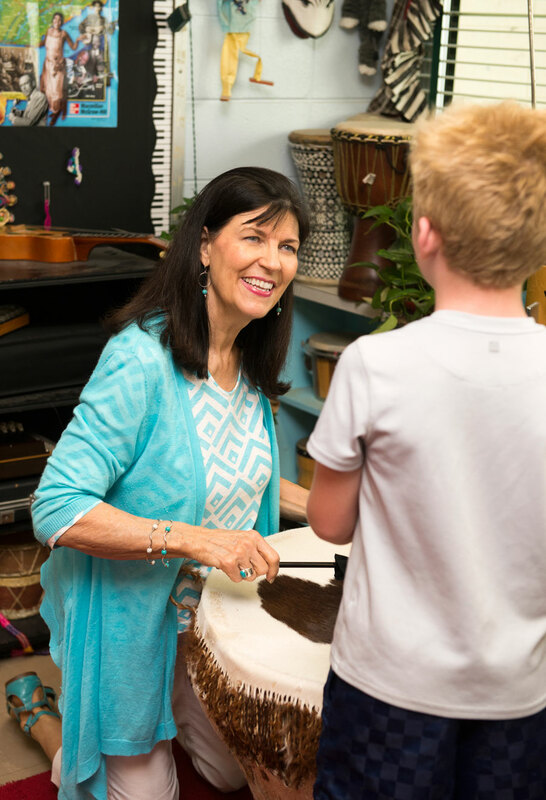 Teaching professionally since 1972, Betty did take time off to raise her three sons, while teaching music at several mountain pre-schools, teaching private piano and accordion lessons, and directing children’s church choir. She has been teaching at Thrasher since 1999. Music, decorating, reading, cooking, and gardening are among her favorite hobbies.